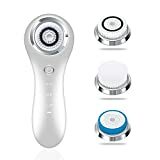 If you desire a silky, youthful, and radiant complexion, it’s non-negotiable then, you need facial cleansing brushes that are able to penetrate deep into the skin pores, unlock clogged follicles, get the serum flowing(here’s the difference between serum, lotion and moisturizer), get rid of dirt and dead skin cells. That’s what it is; no shortcuts no hacks – it’s simply doing it the proven old-fashioned way – keep the skin clean and free of grime. Over the years, we have seen the rise and decline of several facial cleansing brushes: cotton; the scrubs; foaming cleansers; oil cleansers; the muslin cloths; name them. However, today’s rave is the facial cleansing brushes. In fact, there’s hardly any beauty editor, celebrity, or even fashion influencer who doesn’t have one of these nifty little babies sitting gangly on their vanity locker, close to the makeup mirror. 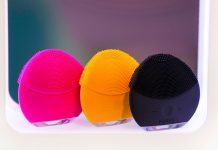 What is it about these facial cleansing brushes that turned them into such a sensation in the skincare product industry? Well, that’s what we’re here to find out, isn’t it? The thing is these gadgets work. Facial cleansing brushes do what they promised – give you a deeply cleansed, relaxed, glowing skin. And of course, that’s why users love them. You see, they use sonic technology to deep clean the skin. 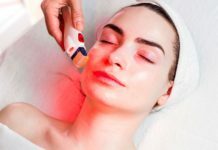 They dig deep into the pores to push out dirt blocking the follicle and massage the face thereby stimulating increased circulation of blood to the skin surface which is essential in promoting the production of collagen, an anti-aging layer in the skin – a process similar to what facial steamers do. Also, they are so soft you wouldn’t even realize you’re doing a daily exfoliation to sweep away dead cells. The benefit of this practice is that the skin gradually begins to take on a new vibrancy that’s healthy. It also primes the skin to become more receptive to skincare treatments. Due to the soften skin, clean pores your topical skin care routine are able to seep deeper, are better absorbed by the skin, and are more efficient. Another cool thing is that it’s quick to use. Imagine those moments when you’re time poor, and really need to clean your face. Do you see yourself using the time guzzling slow muslin cloths? Of course not, I believe, you’d instead prefer one that would help you get done in time, that’s where they really shine. 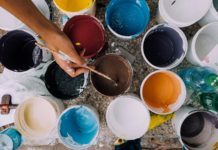 Once you decide to get into the game of using it as part of your face care routine; one question you’d want an answer to is: how to use the device. 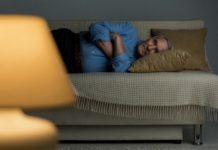 The thing is, misusing it could mar your experience, and might even lead to a severe breakout. To prevent that, we hope this section will walk you through how to use it correctly. First, start using anti-breakout face washes; it’s a preventative measure to block out the chances of having a break out once you start using facial cleansing brushes. Ensure that the face wash contains glycolic or salicylic acid which is effective in preventing and treating acne breakouts. However, for some skin type, you might still experience breakout spots or pimples. 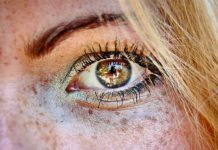 Don’t panic – it’s a typical skin reaction – actually what’s happening is that the skin is adjusting to the new regular exfoliation. Your skin is definitely going to clear, say within 1 to 2 weeks. Secondly, choose the one that’s right for your skin type. Ensure that it doesn’t irritate or inflame your skin. Thankfully, there a variety of facial cleansing brushes on the market you can make your pick from. For a sensitive complexion, I’d recommend you gently ease into your skincare routine. Use it, say, two times in a week till your skin breaks into it. Pay attention to how your skin reacts and if you notice pimples consider taking a break from using it for some weeks. The goal is to figure out what works best for you. Finally, follow up the facial cleansing with your regular topical skincare product, massage it in, then moisturize and you’re all set. 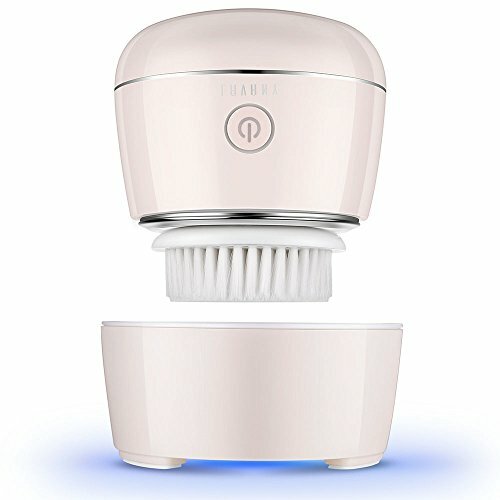 Want to purchase facial cleansing brushes but don’t know which one to go for? We’ve handpicked these six facial cleansing brushes and believe facial cleansing brushes would treat you and your skin exceptionally well. As the number one recommended cleanser by the U.S. dermatologists and also a pioneer, Clarisonic has earned their place in the manufacturer hall fame for innovative, effective skincare products. 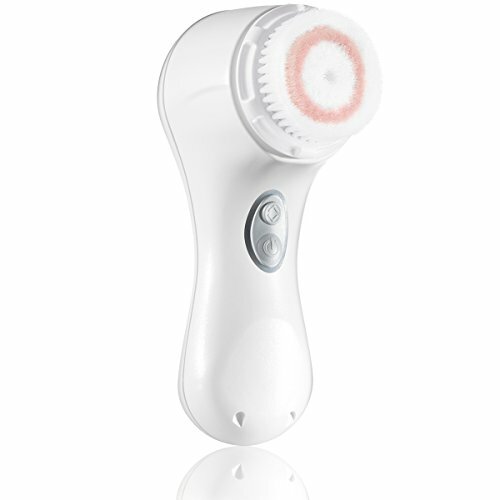 As expected, this Clarisonic Mia 2, 2-speed facial sonic cleansing brush goes straight for the kill. No fluff, it gets the job done leaving your skin feeling softer, smoother, and more beautiful. Place it to face and turn on. Select desired speed and follow time prompt to move to another spot on the face. 2-speed rotation setting suitable for all skin type. The first speed is ideal for sensitive, delicate complexion and the 2nd second, for normal skin. 6x more efficient than hands. Cleans deep for a clear, clean skin. Safe to use 2x daily with a T-timer. Waterproof which means it can be taken into the bathroom. Soft, gentle brushes that suitable for all skin type including delicate ones. Easy to care for with detachable head. Join thousands of other satisfied users to experience the profound cleaning power of this cleansing brushes. Quite a lot of users reported noticing a softer and smoother skin. All that’s required is one minute twice a day use to get your skin glowing and looking healthier. 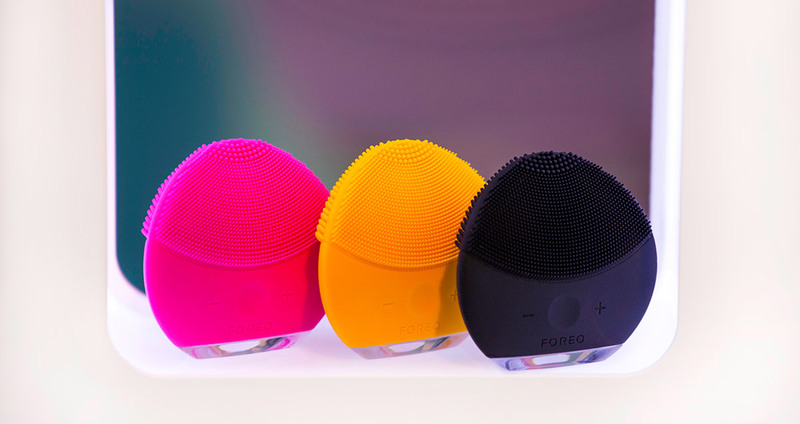 Check out our Foreo Luna Mini 2 Review . 8 adjustable intensities to select cleaning speed that’s suitable for your skin. 3-zone brush head for a personalized cleaning experience. Made from a top-quality medical grade silicone that’s non-abrasive. 100% waterproof, can fit in comfortably into carryon when traveling. 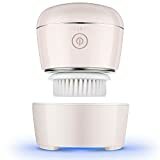 Keep your face squeaky clean with this TAO clean facial brushes and cleaning station. In this day and time of germs, dirt, soot flying around in the air, washing your face with just water and your hands don’t cut it anymore. 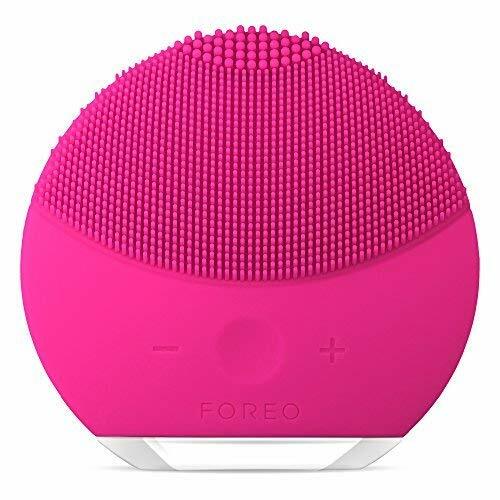 This high-tech sophisticated but sleek designed and will sweep away those blemish-causing dirt, unclog pores and leave your face singing with new vibrancy. Ergonomically designed handle that makes tracing the contour of your face effortless. A cleaning station that disinfects dries the brushes head getting them ready for next use. Once the head is docked, the cleaning station automatically turns on to sterilize, dry it. 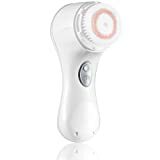 If you’ve ever wanted a deep cleaning facial cleansing brushes, then consider this Hangsun Electric waterproof sonic facial cleansing brush. This eclectic facial product is pack full of features that will leave your face gleaming, healthy, and of course looking younger. 300 strokes per second to efficiently sweep away dirt, blackheads, and other pollutants from the surface of the skin. 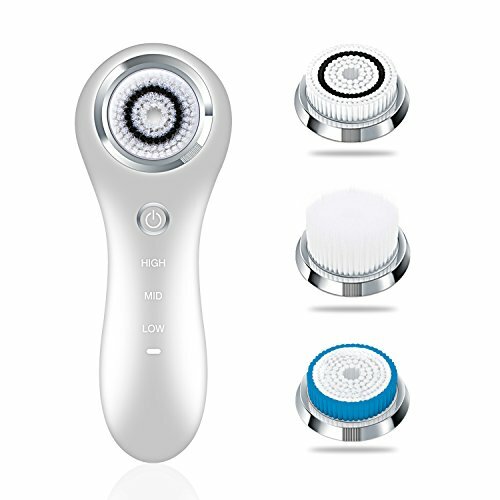 2x automatic operation mode; 3OS mode to remove dead skin and other skin issues from the T-zone, 6OS mode to get rid of the black head in the U-zone. 100% waterproof with an IP7x rating. Made for the high-class, fashionable woman who knows what she wants. This exquisitely designed sleek with a pleasing curvature is every woman’s dream. Made from the soft DuPont bristles this facial is well suited for delicate, fragile skin. The normal brushes are perfect for the deep cleansing and for unclogging dirt lodged deep in the pores, and stimulating increase circulation. 2-speed modes – the 4800 revolutions per minute is designed for daily surface cleansing. For deep cleansing the 5800 is ideal. Has replaceable heads for different purposes. Charge wireless for 6 hours. Olay ProX Advanced cleansing system offers a superior facial cleansing and easily removes long-wear, hard to remove makeup, deep cleanses to dislodge dirt, makeup remains, and oil blocking pores. 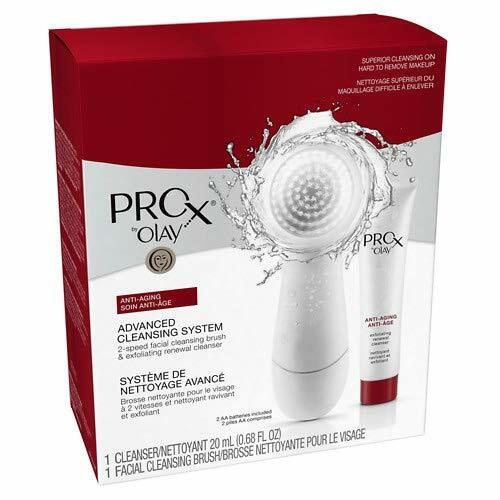 Gently rub in the lathering ProX advance Renewal cleanser using the device for a silky, fresh facial skin. 2-speed setting to choose either a milder exfoliation or a normal experience. They just like any of our other possessions require proper care to stay squeaky clean. 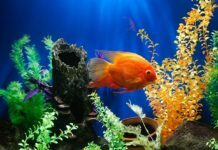 If, for whatever reason, they weren’t properly cared for; then it’s a recipe for bacteria, germs, dirt to colonize them. Hence, it’s imperative that the gadget is thoroughly washed after each use. Thankfully, almost all of them are waterproof which means, they can be washed and rinsed in water. Soak it in warm soapy water for about 5 minutes, and then rinse out. After washing, leave out to dry before storing it away, as this will help prevent bacteria or mold buildup on it. If you use it every day then in addition to the normal wash to soak it in rubbing alcohol once a week and allow the alcohol to dry off. This helps to kill off any remaining bacteria. 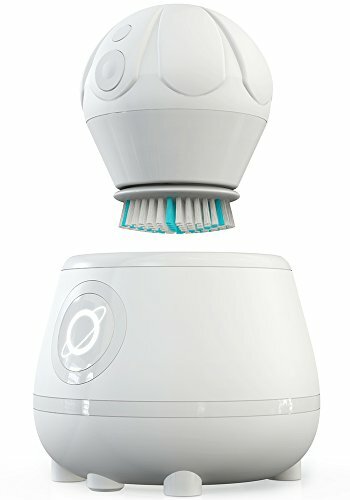 What are the facial cleansing brushes used for? It’s high-tech skincare a product used in cleansing the facial skin; it involves exfoliating, pore opening, and getting rid of dirt on the skin. How often should you use a facial cleansing brush? Depending on your skin type and if the brush head rotation speed can be adjusted. You can either use it twice in a week or as part of your daily skincare routine. Yes, they are worth every cent spent to purchase them. They use the latest technology to provide a deep cleansing for skins which the traditional use of hands doesn’t provide.